Million of dollars worth of food and medical supplies is currently sitting near the Tienditas bridge where the Colombian border city of Cúcuta meets Venezuela. Flour, rice, cooking oil, high protein energy supplements, as well as things like soap and toothbrushes, have all been packed by volunteers, ready to help thousands of people in Venezuela where there have been food shortages since 2014. The Venezuelan military, however, has barricaded their side of the bridge, vowing to not let the aid enter the country. “Venezuela won’t allow the spectacle of fake humanitarian aid because we’re no-one’s beggars,” Nicolas Maduro, the disputed president of Venezuela, said. “Dear military personnel, this aid is also for you… here comes food for your children, here comes medicine for the people who are suffering,” a spokesperson for Juan Guaido, who has declared himself acting president, said. “There’s an attempt to violate our national sovereignty with this ‘show’ of a humanitarian operation by the government of Donald Trump,” Maduro continued. John Bolton notepad reveals suggestion for 5,000 troops to Colombia. “Venezuela is not suffering the humanitarian crisis made up by Washington over the last four years to justify intervening in our country,” Maduro said. At the bridge, passers by shouted “Maduro out,” while the military replied “long live the revolution.” So setting the scene for a standoff in one of the biggest political crisis in Latin America. We have seen children climb a pile of money that was being thrown out because it no longer held any value. We’ve seen priests feed many through crypto donations. We’ve read the statements of many ordinary Venezuelans describing how mothers broke into tears after receiving a week’s worth of food bought with crypto donations. There are three million Venezuelan refugees, mainly in nearby countries, according to the United Nations High Commissioner for Refugees (UNHCR). Inflation has topped one million percent. GDP has fallen 50%. Brazil and other neighboring states were previously considering invading in fear more refugees might destabilize their own nations. From social media reports of ordinary Venezuelans, there’s little reasonable doubt that this country is in deep crisis. The Bolivarian Revolution, however, promised to feed the people. Thus one can’t expect Maduro to acknowledge the desperate situation. Hugo Chávez rose to power in 1998 to implement a state run economy through nationalization, a welfare program, the promotion of social property, workplace democracy and the building of a communal state. “The Mission involves a state-run company called Mercados de Alimentos, C.A. (MERCAL), which provides subsidised food and basic goods through a nationwide chain of stores. In 2010 Mercal was reported as having 16,600 outlets, ‘ranging from street-corner shops to huge warehouse stores,’ in addition to 6,000 soup kitchens. Mercal employs 85,000 workers. Lines in a Mercal store. Food shortages in some of these stores led to protests in 2014, which then became widespread. The Venezuelan army, in addition, engages in door-to-door anti-poverty activities, including mass vaccination and food distribution in slum areas as well as education. 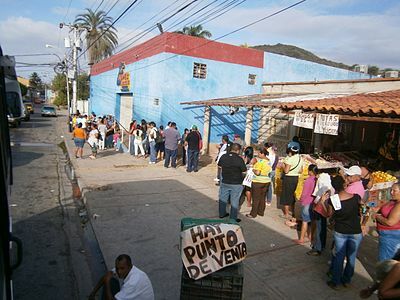 Some analysts suggest this state giving of food makes Venezuelans reliant on the government, and thus buys their support. The aid could thus be seen as a threat as people would have other means of feeding themselves. Thus might show less support for Maduro. A report by the Economists suggests Venezuela uses oil as a diplomacy tool, providing a discount to some countries or more generous credit terms. The entire economy appears to be an oil economy, which worked well during boom times, but seems to have now led to a monetary collapse. The reason for it might be because America has ramped up oil production through fracking and other technologies. Production has now reached the point where USA has begun exporting oil for the first time in decades. There were suggestions in 2014 that Saudi Arabia was trying to undercut the frackers by flooding the market with oil in an attempt to make their operations unprofitable. A competing explanation for the oil flood was as a tool to punish Russia for the annexation of Crimea. Regardless, a currency crisis followed in Russia and Nigeria as well as other oil producing countries. They recovered, with it short lived, but Venezuela fell on its knees. The United States has imposed a number of sanctions on Venezuela, but not on oil until recently. However, Russia has a number of sanctions too, so what’s different about Venezuela? Socialism is the other competing answer. The state run economy is perhaps unable to meet the needs of Venezuelans without high oil prices significantly subsidizing the expenses. 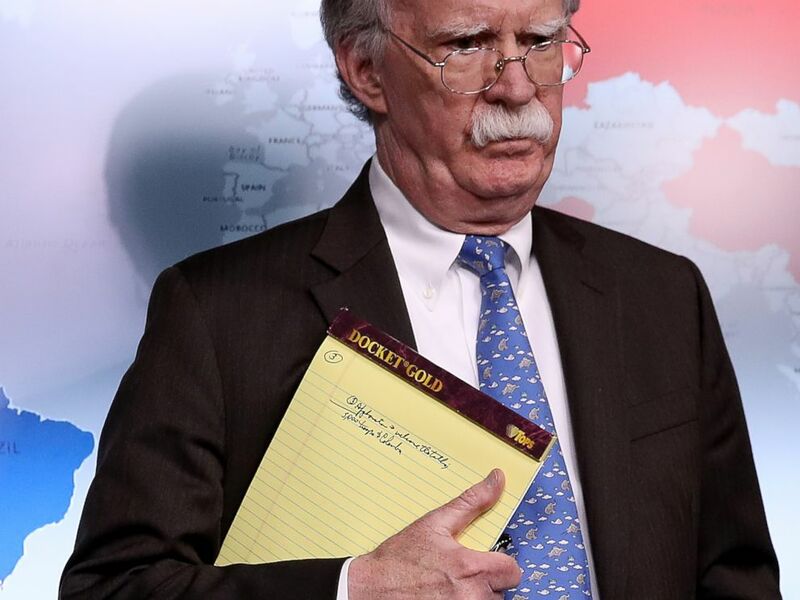 It is unclear whether the Bolton notepad is a bluff. If it isn’t, then the plan might perhaps be for troops to forcefully send the aid into the country. That would probably be the last resort with a lot more options tried first, including perhaps UN troops if such agreement can be reached and if it is necessary. One innovative option would be to airdrop cryptos on Venezuelan phones through something like CoinText. 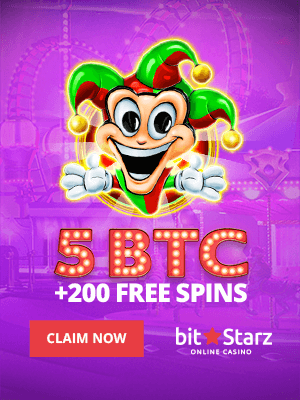 This could be done even with dollars through tokenized cryptos like USDC or other stable coins. With some money, Venezuelans can then go and buy food in non-state owned stores or in neighboring countries. More importantly, they’d have a functioning currency once more which can get the economy back on track, at least to some extent. This potential option might not be in time for Venezuela as America’s civil service probably needs months or years to get their head around the idea. Aid agencies are however beginning to consider it as a potential option when distributing aid, with the method getting attention at the highest levels. 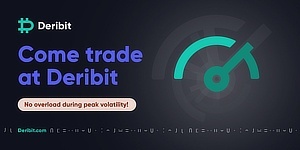 We may therefore see trials and pilots in the coming years to analyze the viability of crypto airdrops or aid through crypto purchases, but how the more immediate situation will be resolved in Venezuela remains to be seen.